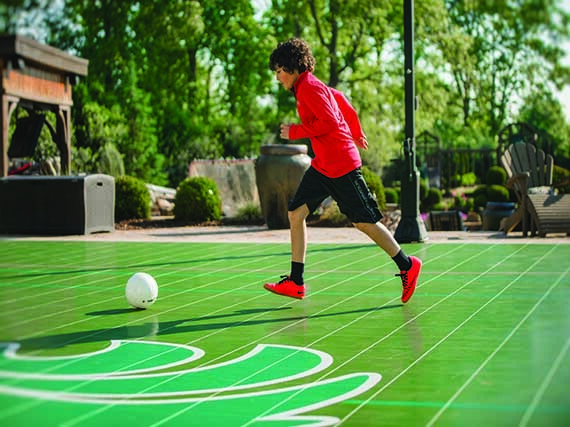 As the official court supplier and a corporate partner of the U.S. Soccer Foundation®, we have built futsal courts in communities around the world. We can provide your club or organization with a futsal court that is designed to protect athletes, assist in player development, and provide a fast and flat futsal surface supporting true ball roll and bounce. Each court can be customized with more or less cushion for indoor and outdoor applications. And with a 15-year warranty, you can have confidence that your court will last. Learning calculated techniques and tricks in soccer can get complicated, and sometimes painful. Fortunately, our Sport Courts come equipped with Lateral Forgiveness™ and superior shock absorption, which means that you can take on any complicated technique with confidence and poise. 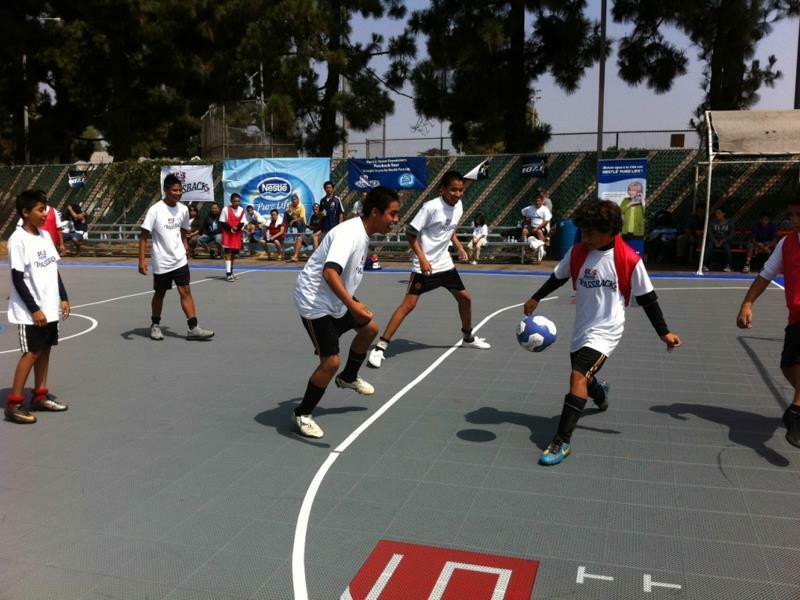 Contact your local CourtBuilder™ to find out more about our professional grade futsal courts. In addition to designing and installing indoor and outdoor futsal courts, our CourtBuilders™ also specialize in backyard basketball courts, volleyball courts, multi-sport courts, tennis courts, roller hockey courts, netball courts, handball courts, and putting greens.